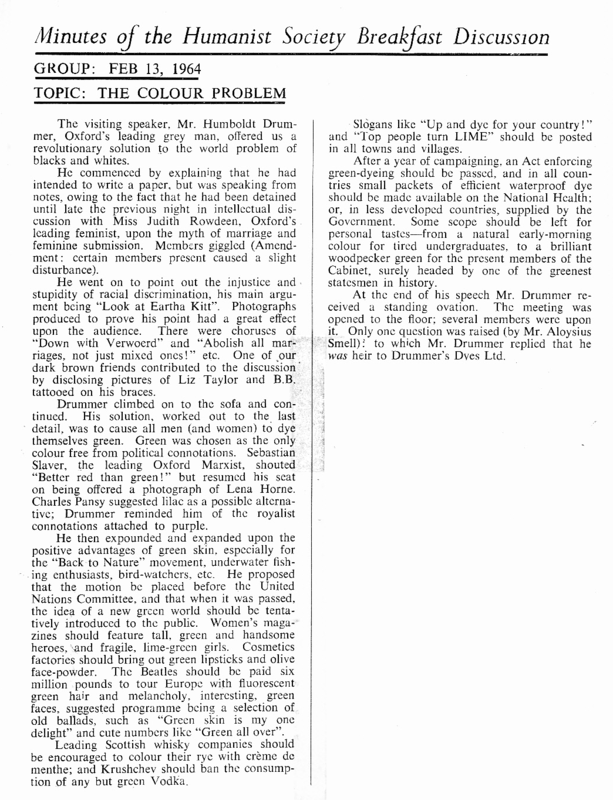 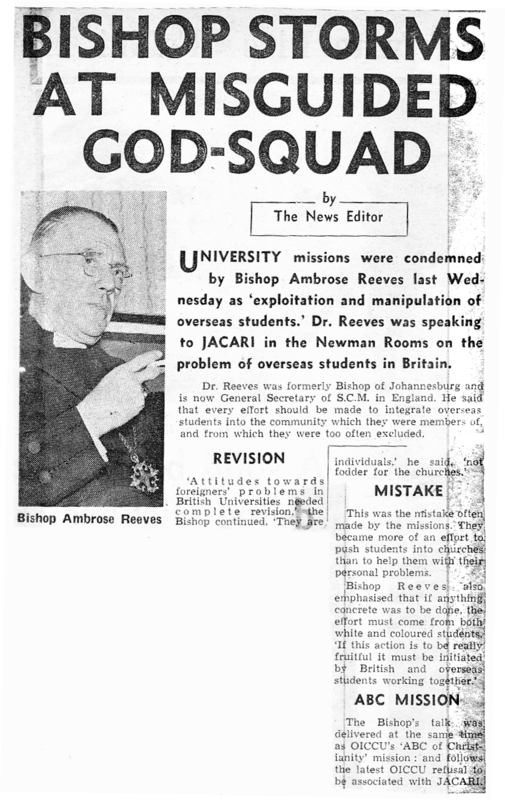 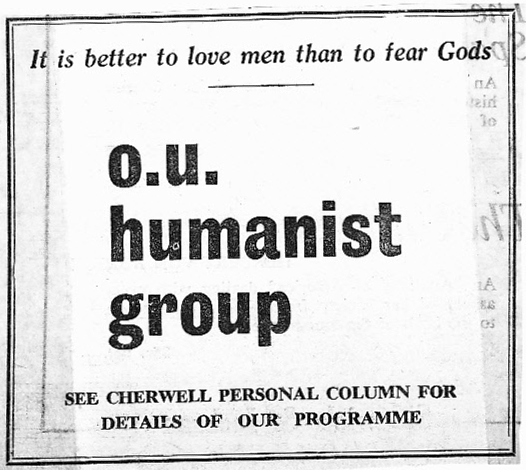 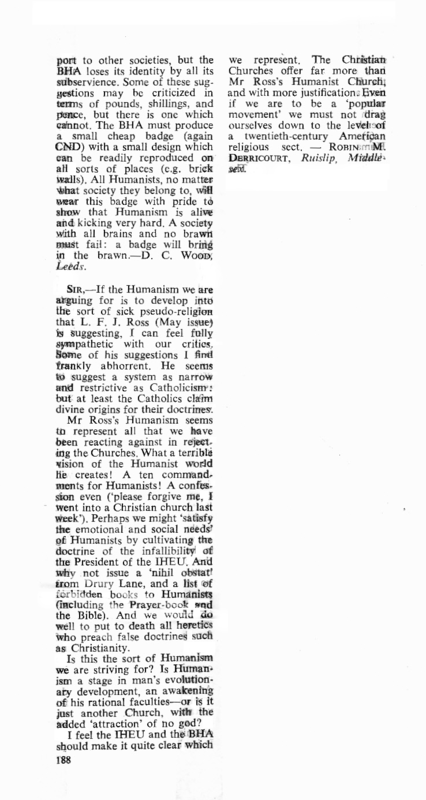 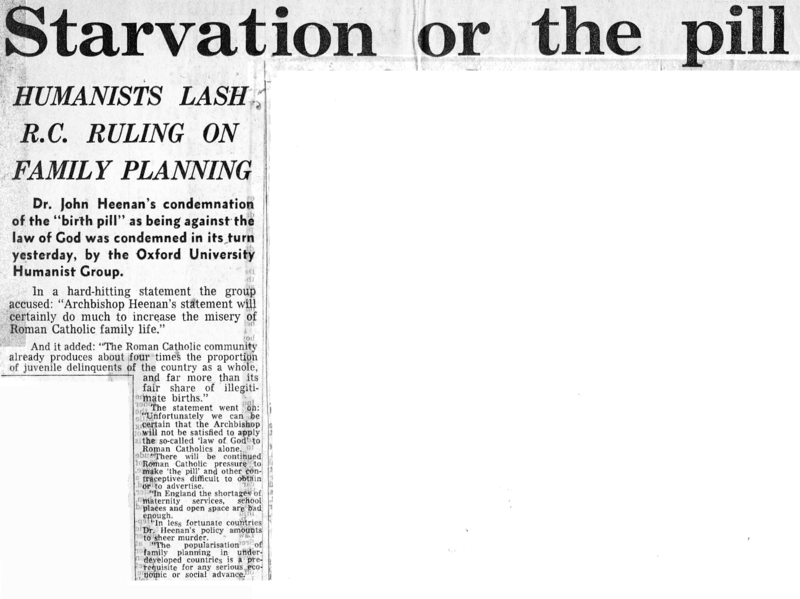 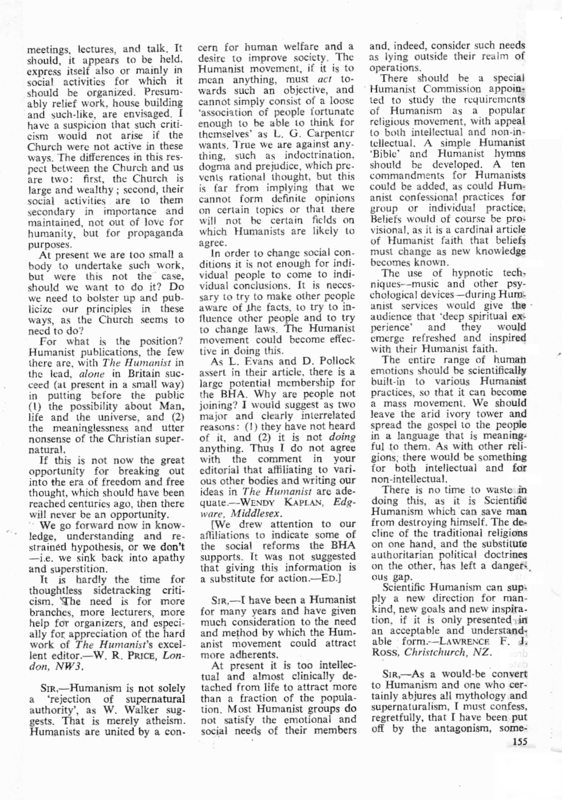 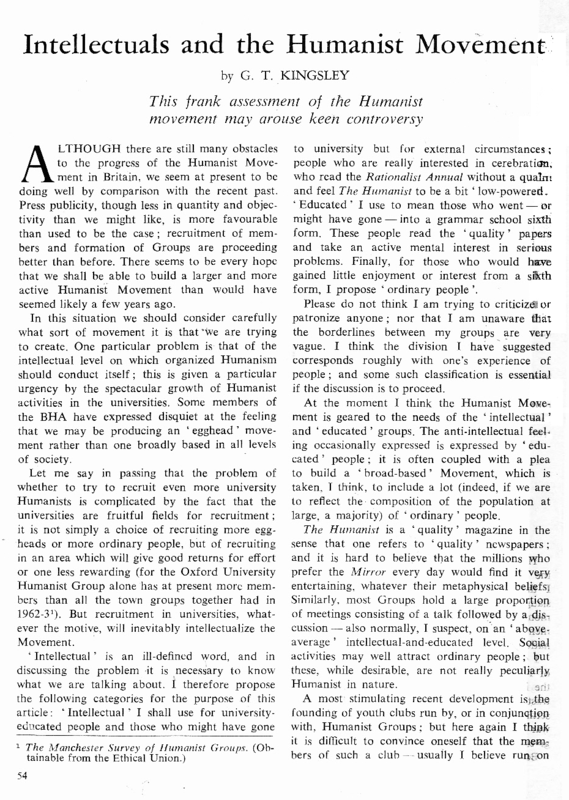 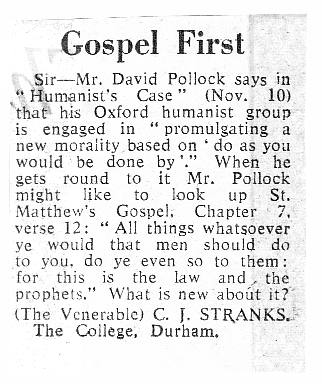 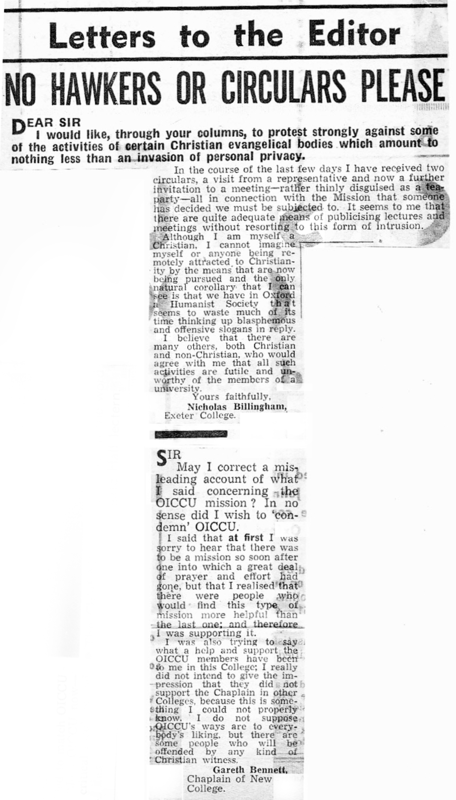 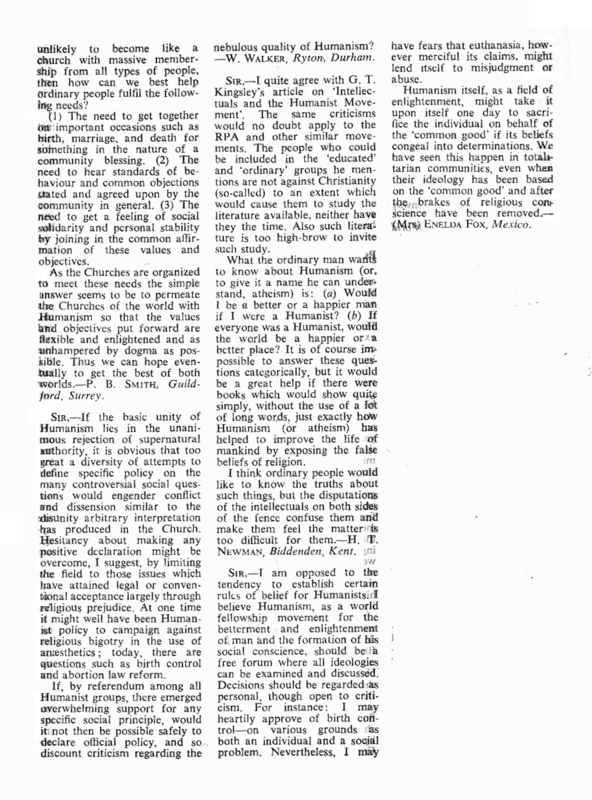 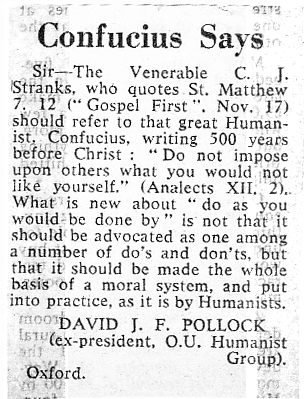 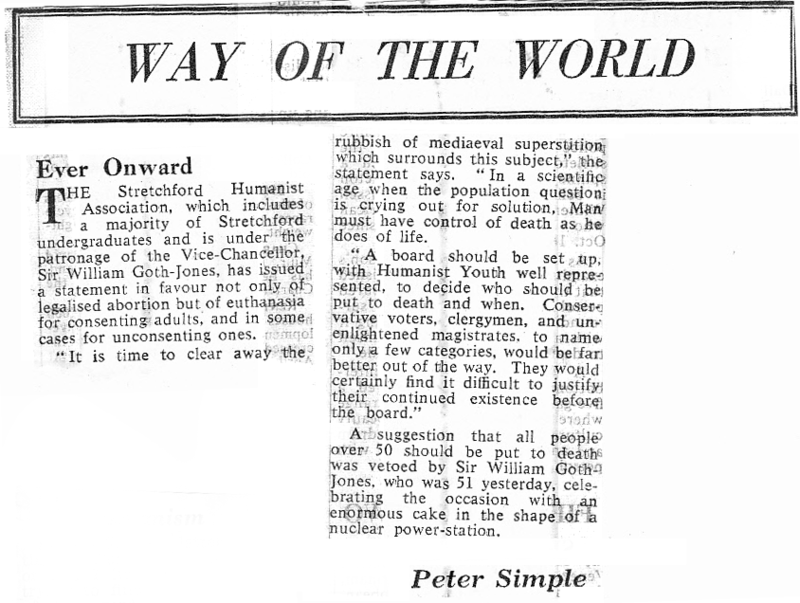 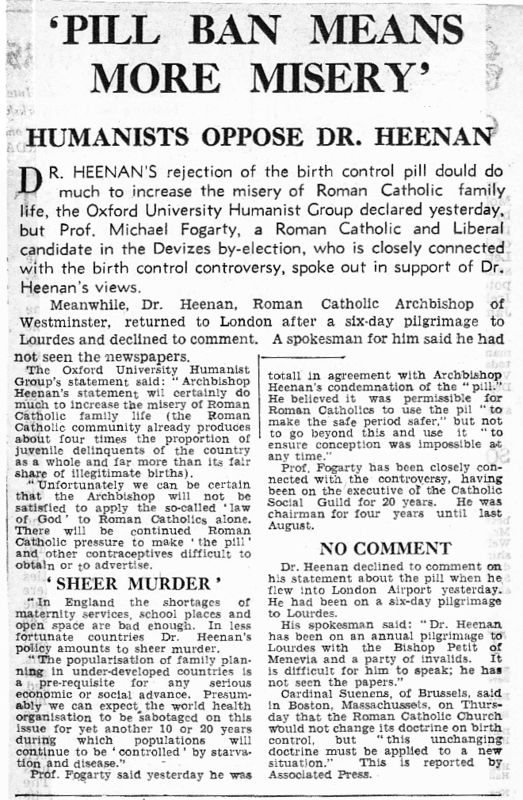 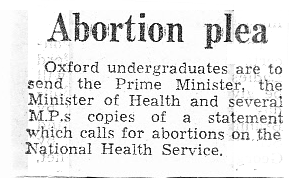 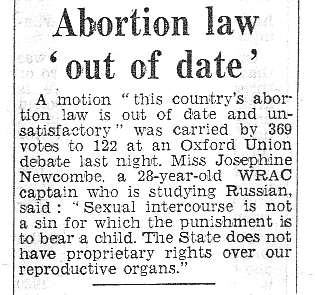 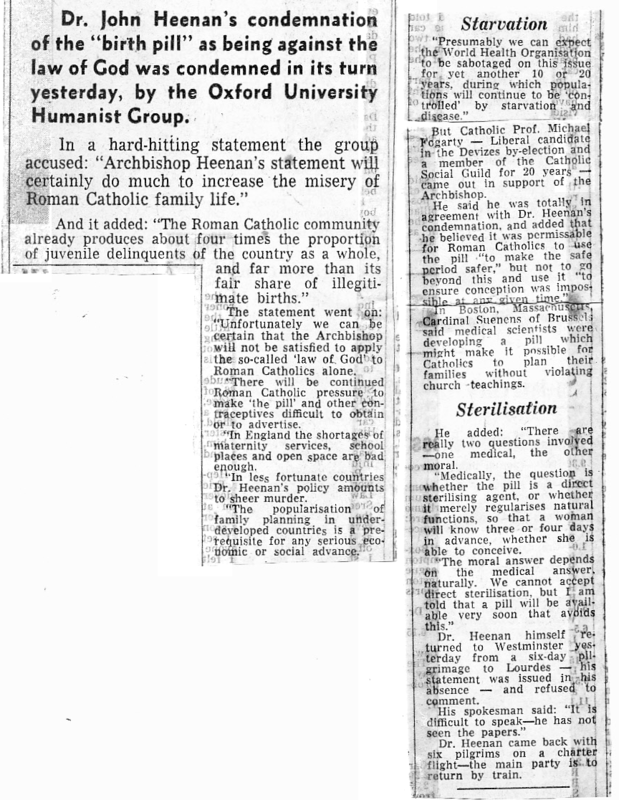 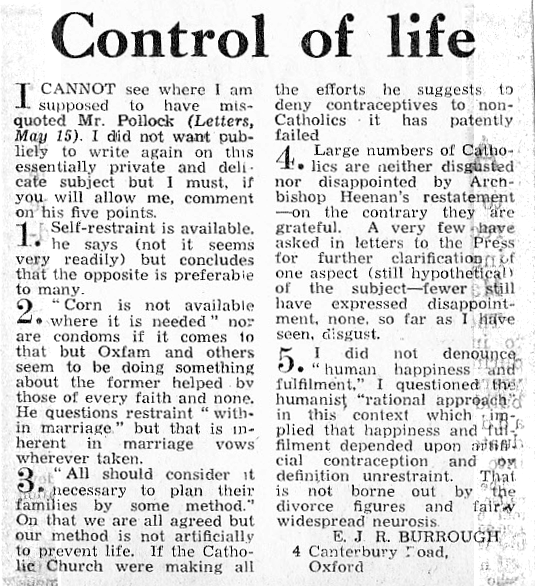 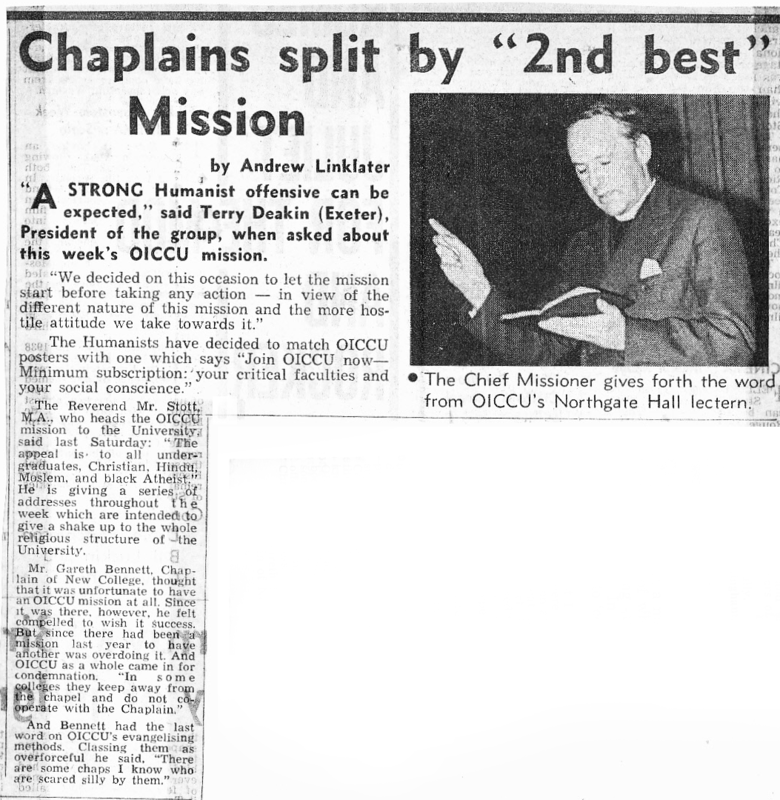 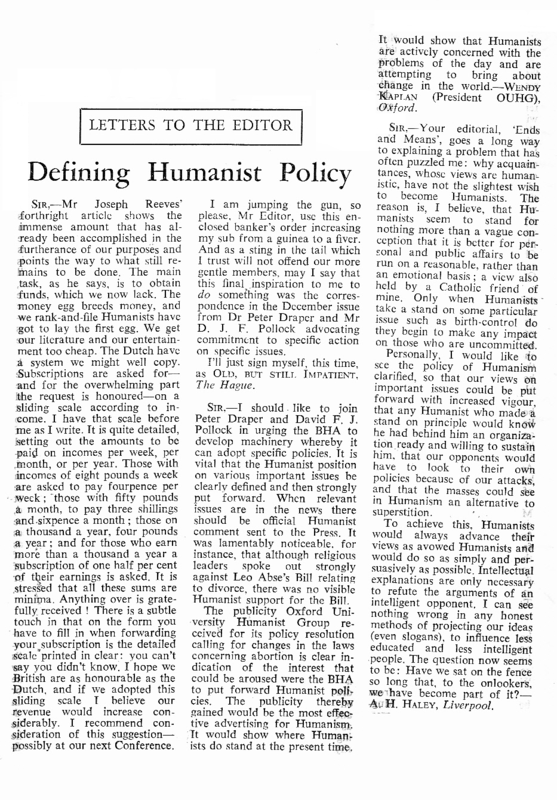 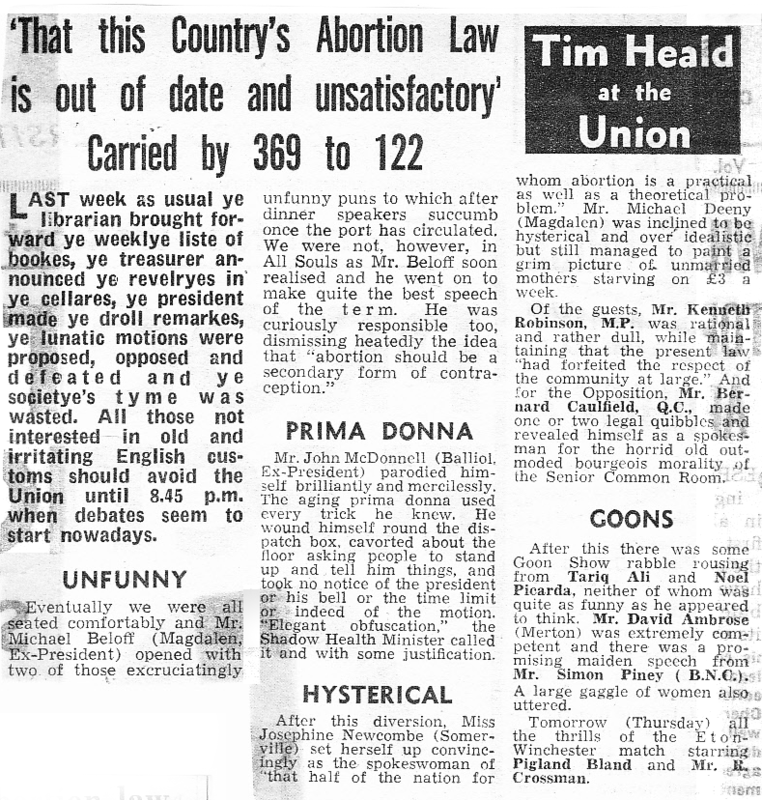 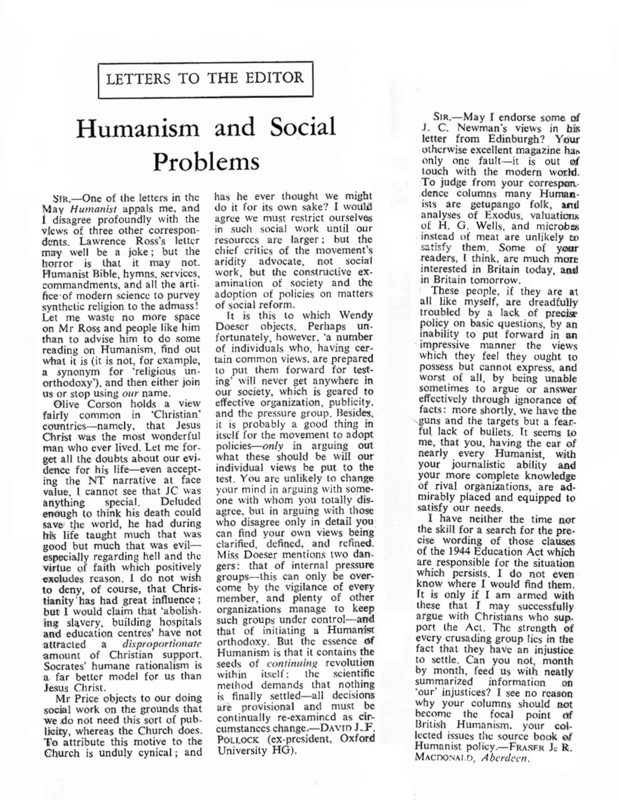 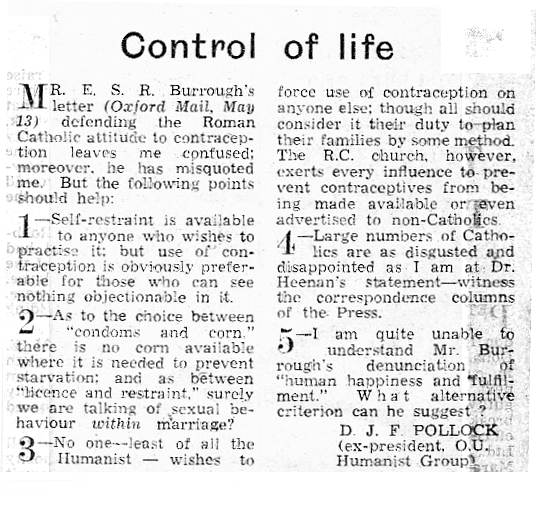 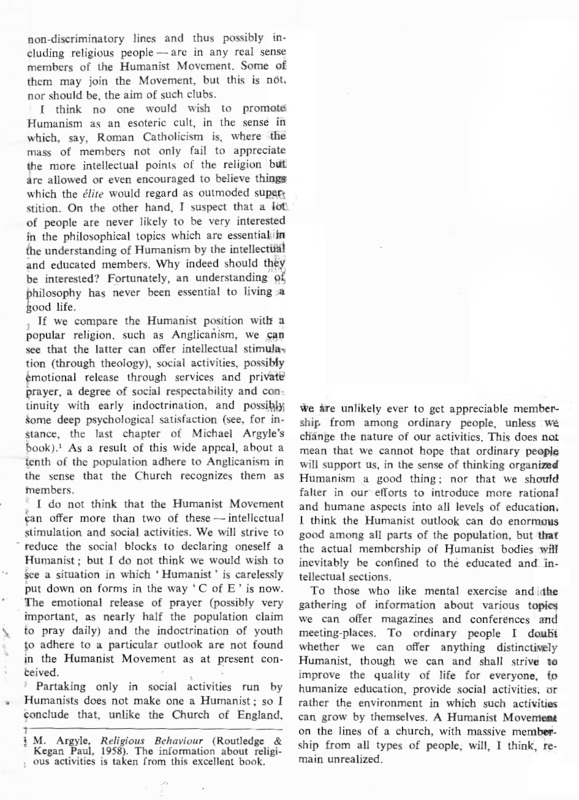 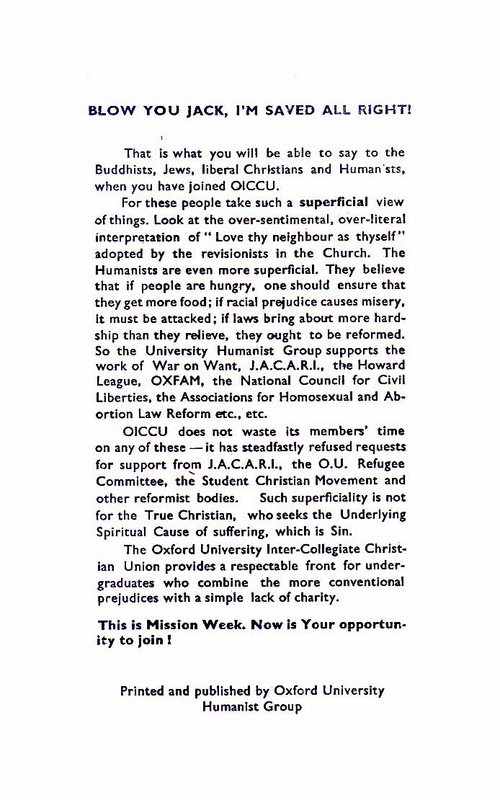 During 1963/64 members of OUHG, along with other young humanists, put pressure on the national humanist organisations to reform their structure and public presentation. 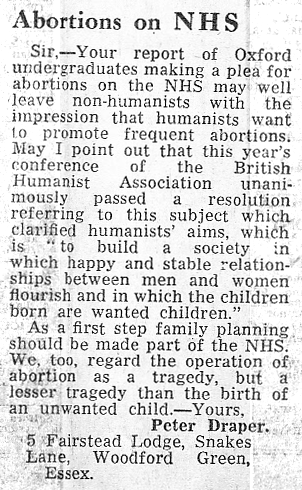 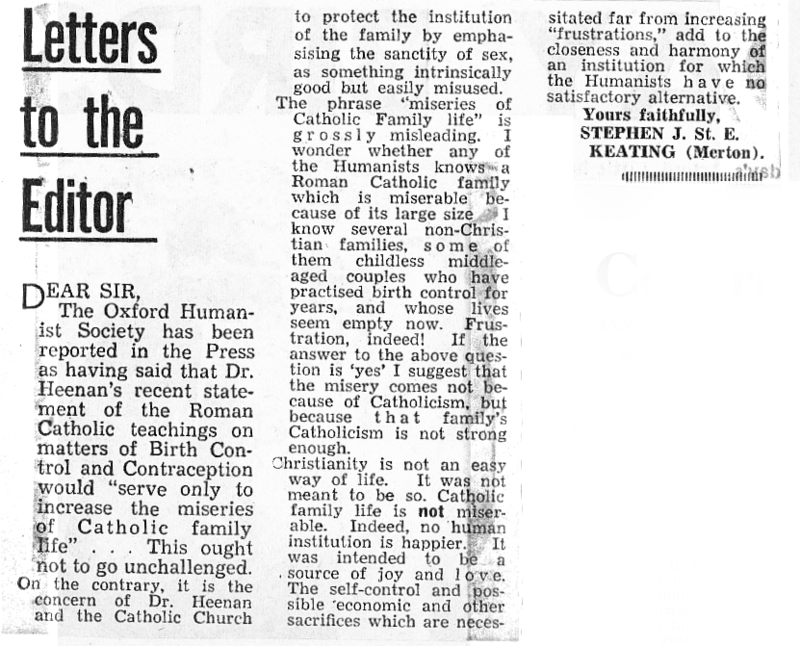 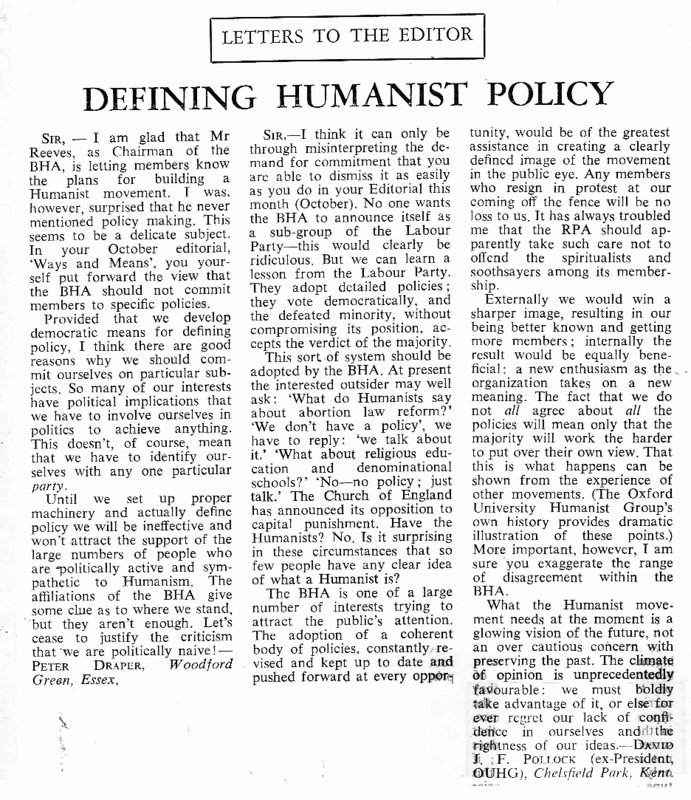 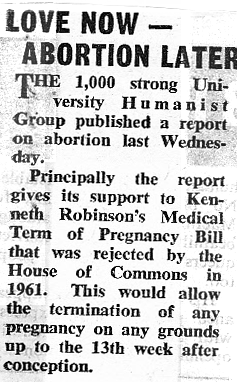 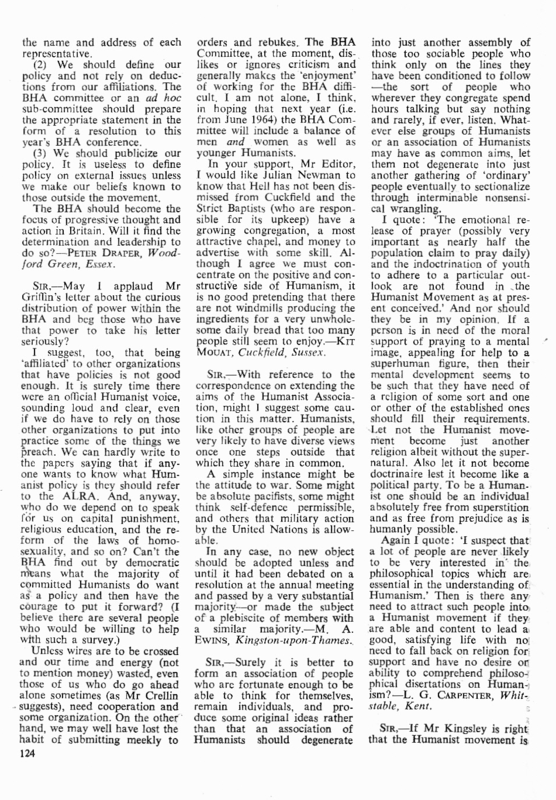 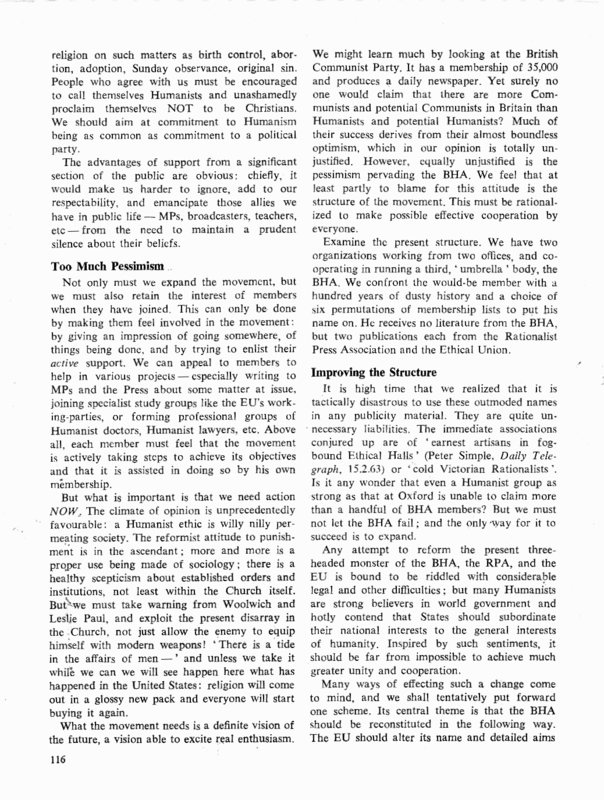 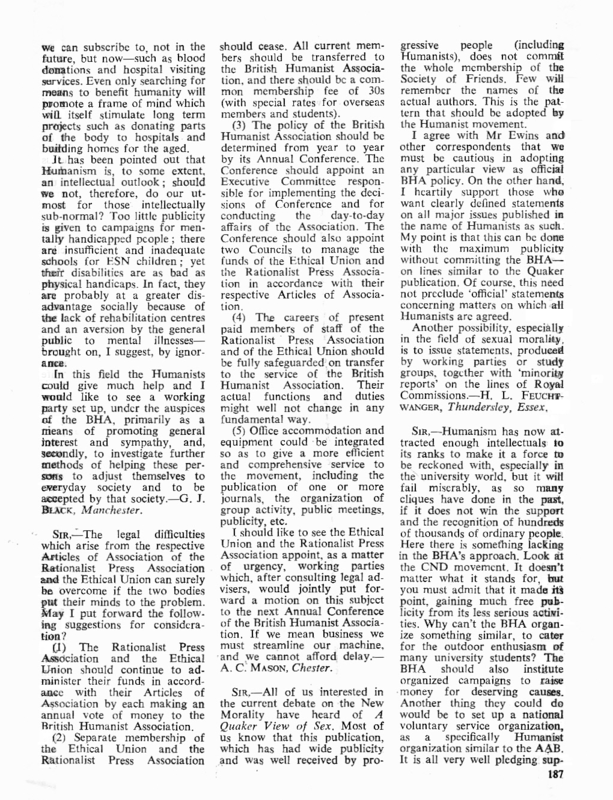 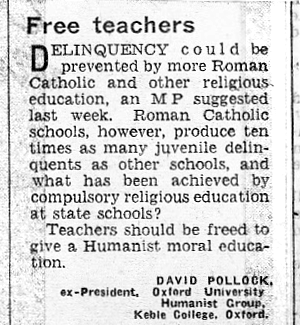 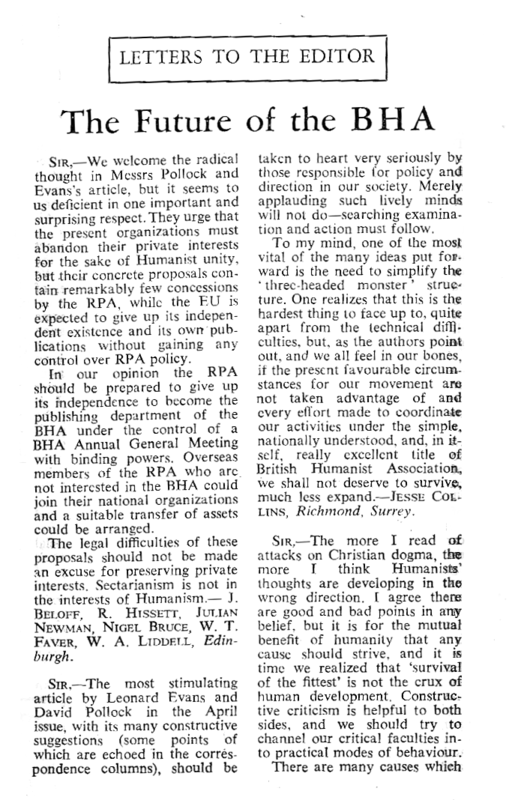 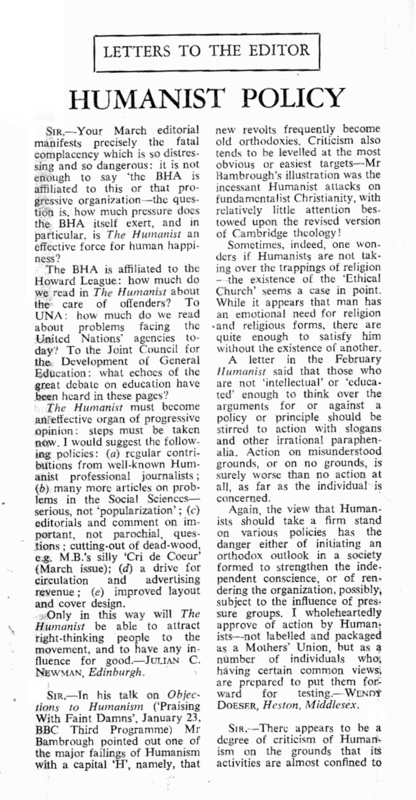 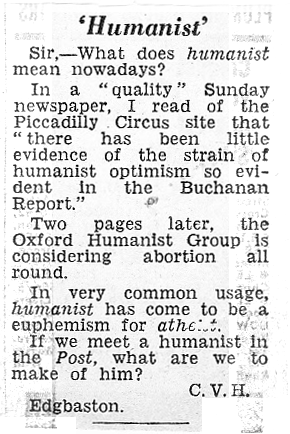 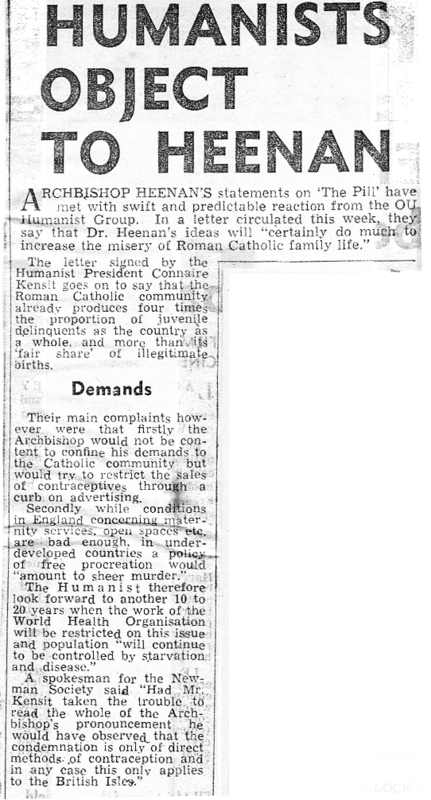 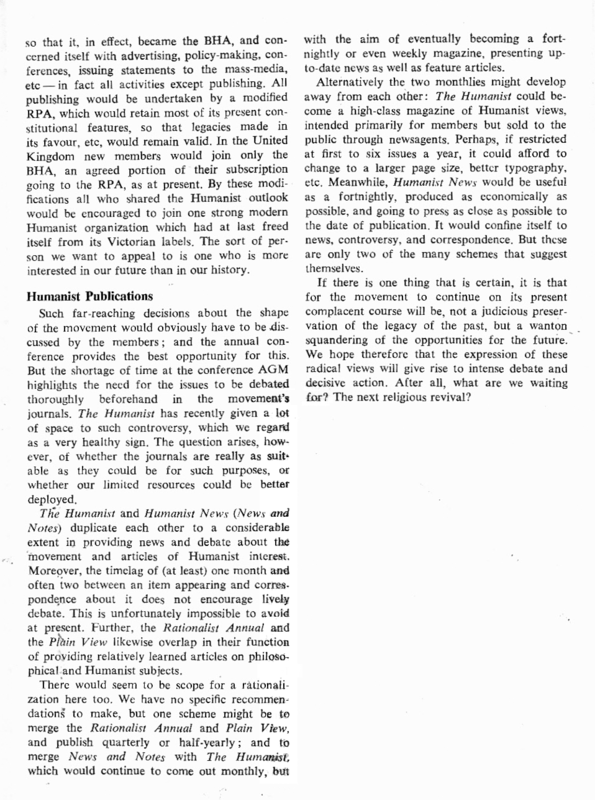 The situation from spring 1963 was that the Ethical Union and the Rationalist Press Association were jointly sponsoring an “umbrella organisation” called the British Humanist Association. 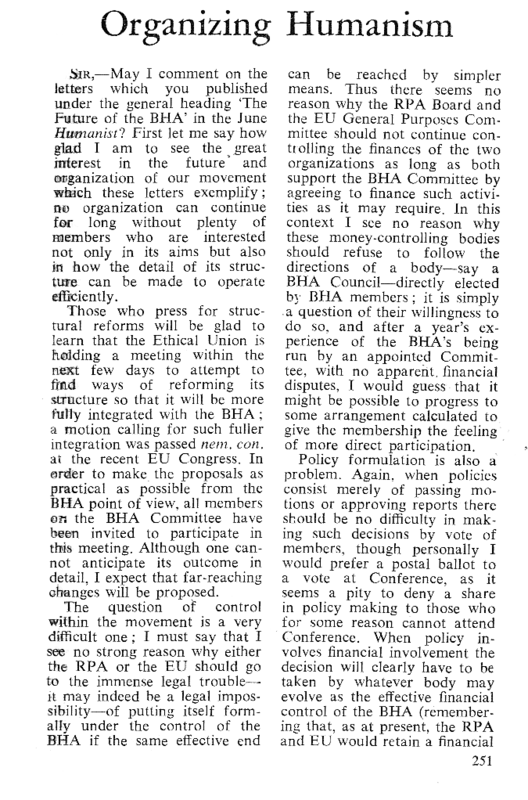 It suffered from having no independent existence and needing to reconcile the priorities of its two sponsors. 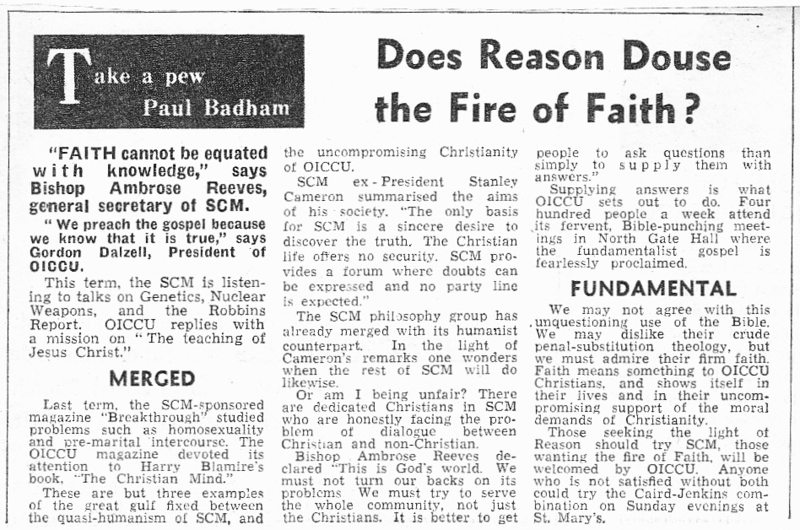 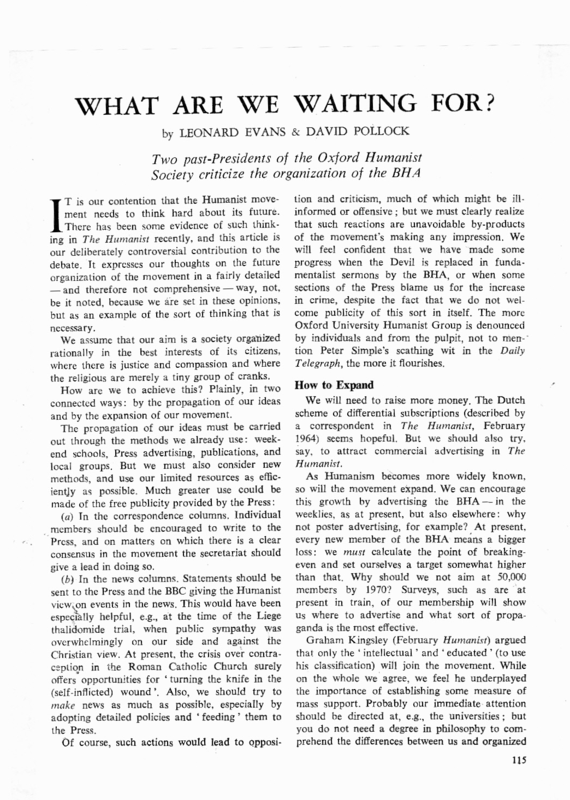 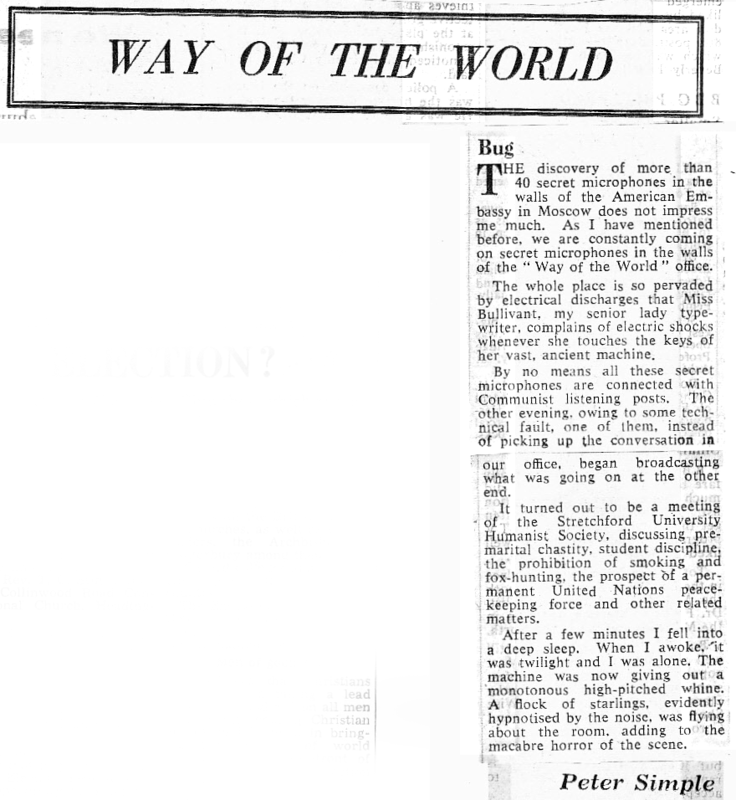 In the April 1964 issue, ex-presidents Leonard Evans and David Pollock had an article about the failure of the national movement to take advantage of opportunities. 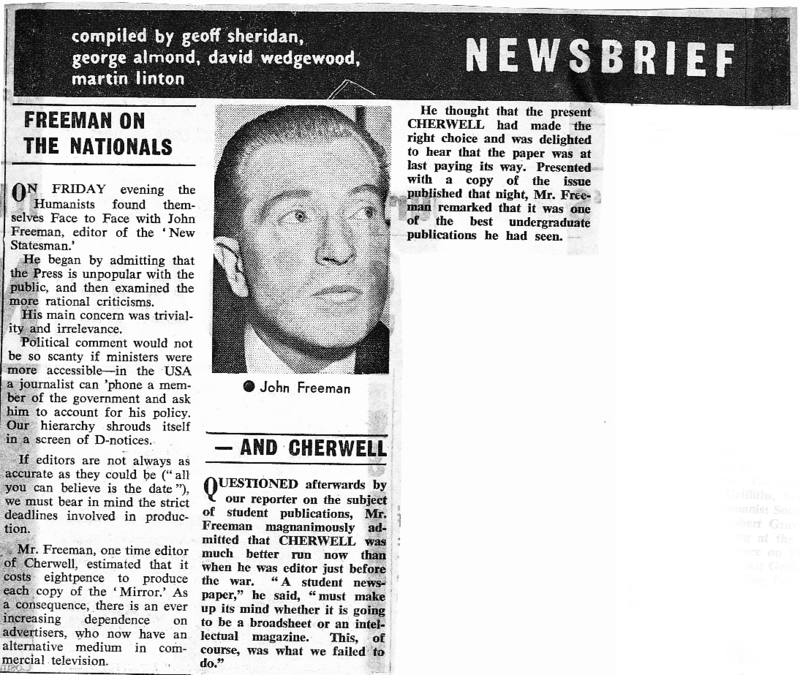 This was a substantially adapted version of their original draft, about which editor Hector Hawton had substantial reservations. 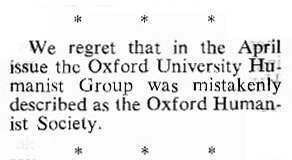 This whole fervour of reform was driven very largely from Oxford. 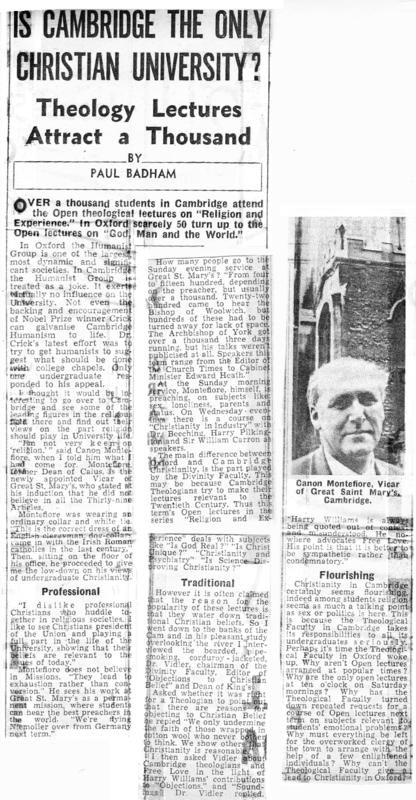 But Pini’s best effort was still to come! 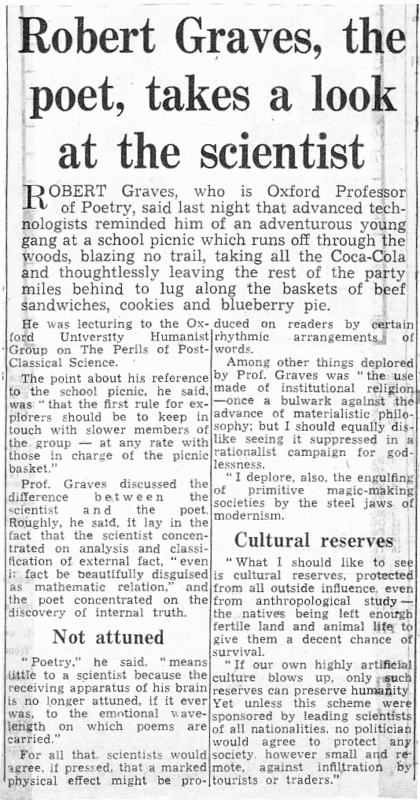 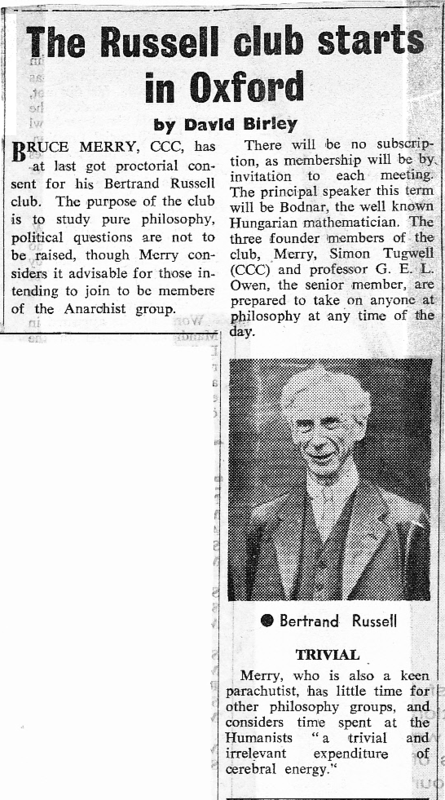 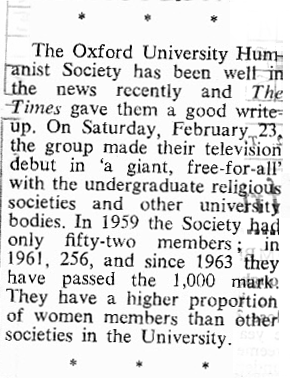 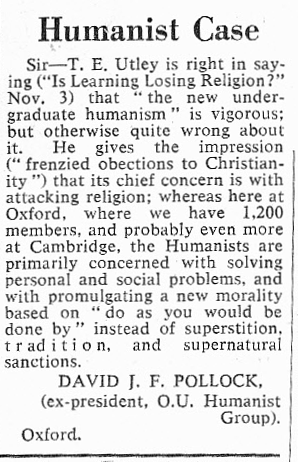 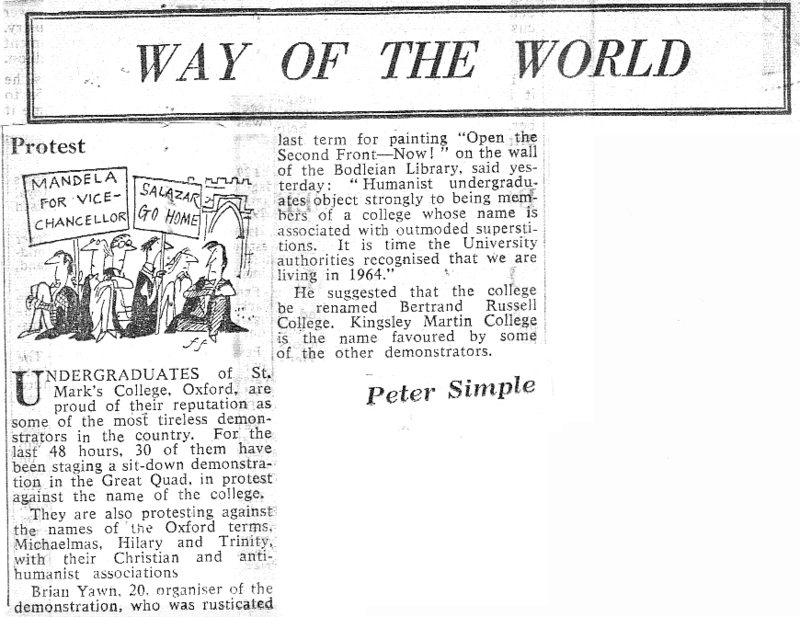 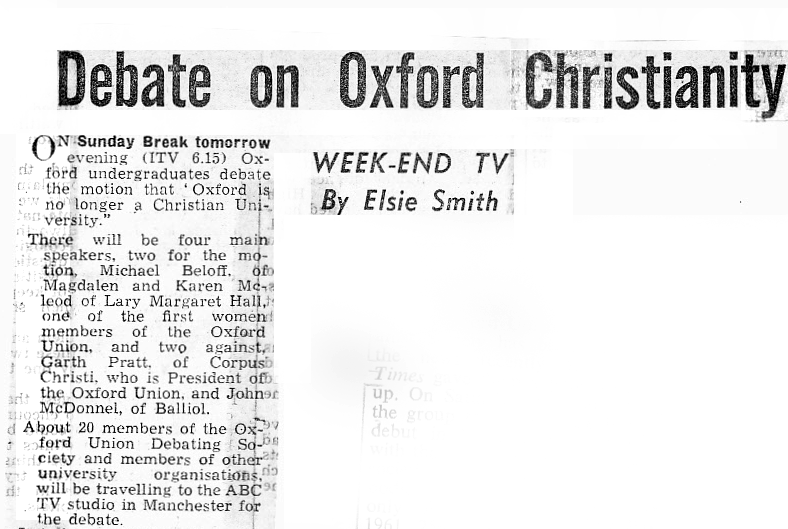 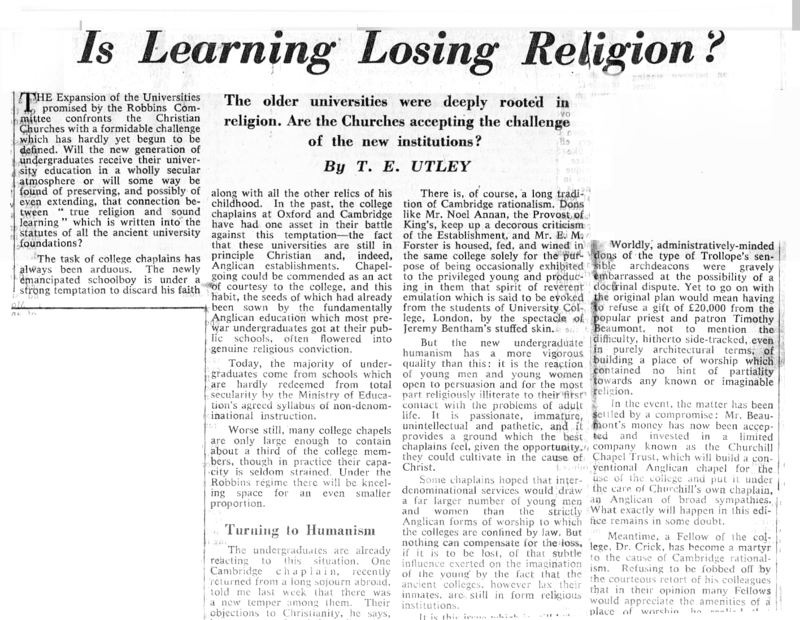 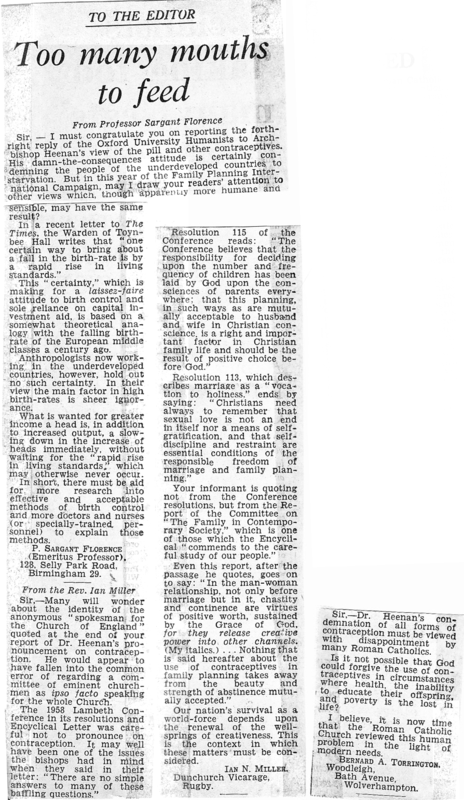 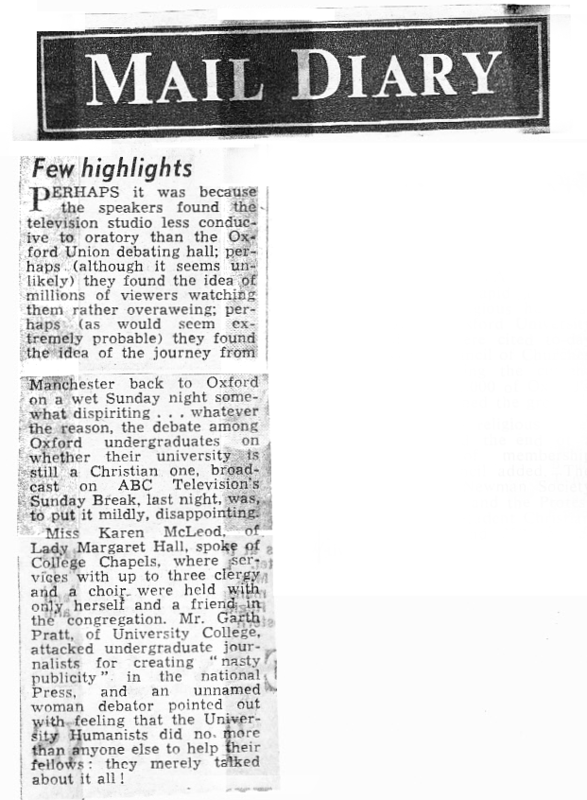 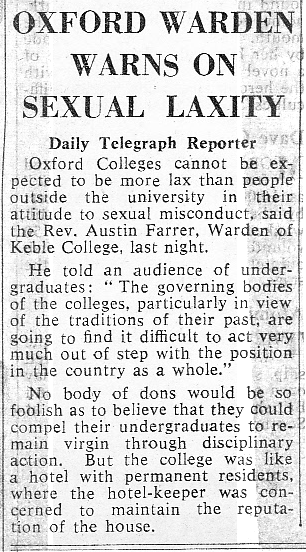 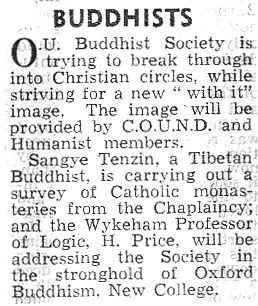 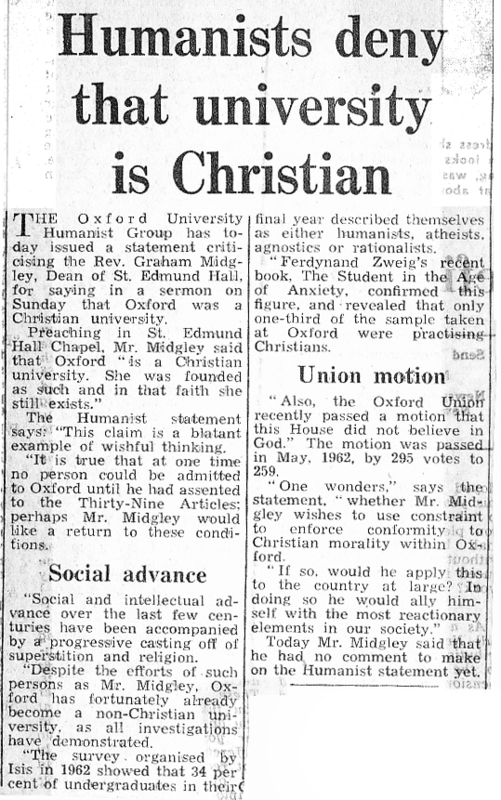 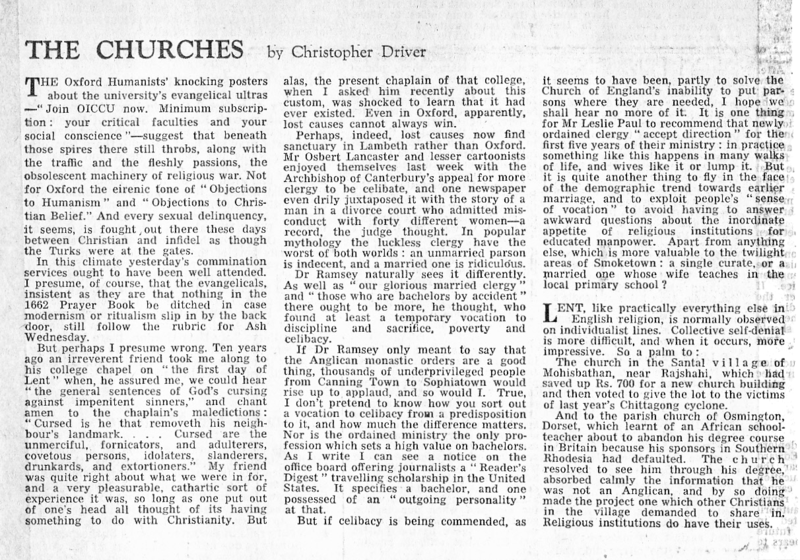 In December 1963 The Observer reported on a survey of students in Oxford and Manchester carried out for a book by Ferdynand Zweig. 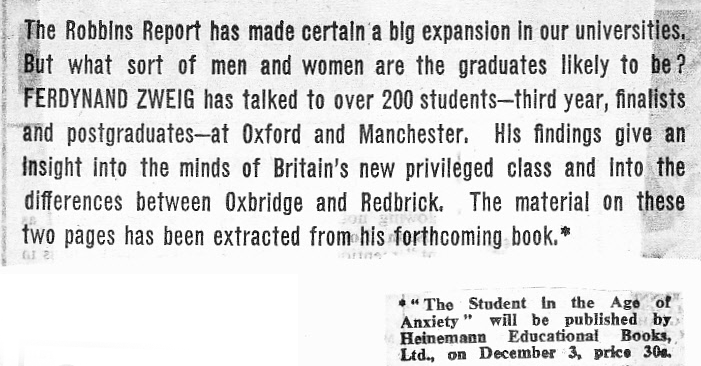 Just over 100 students were interviewed in each university. 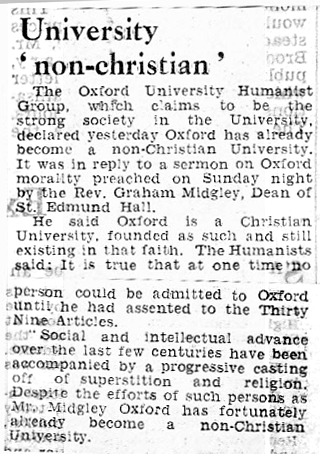 Extraordinarily all 102 at Oxford said they came from a religious family background, but their own religious belief had fallen away: 49% were atheist or agnostic. 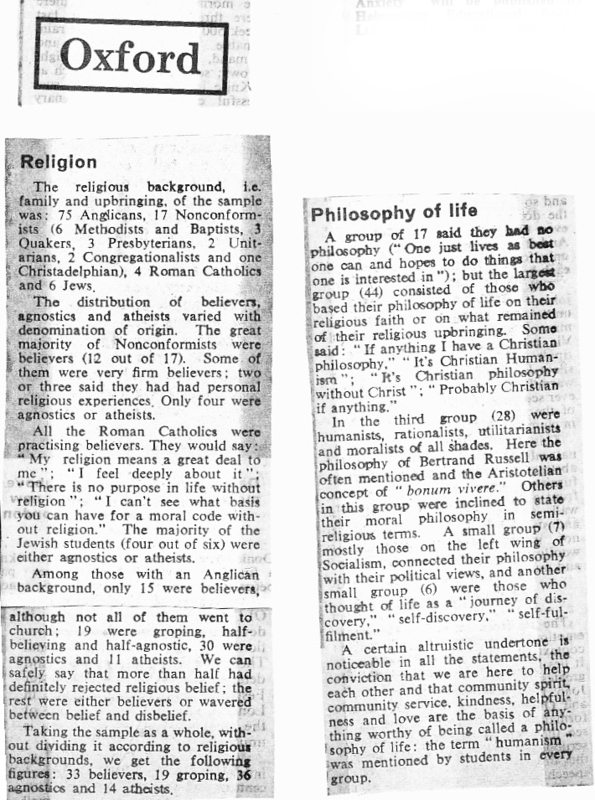 At Manchester, only 21% described themselves that way. 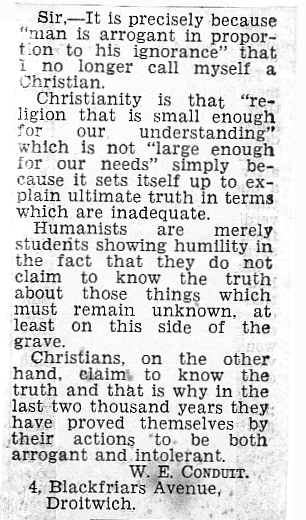 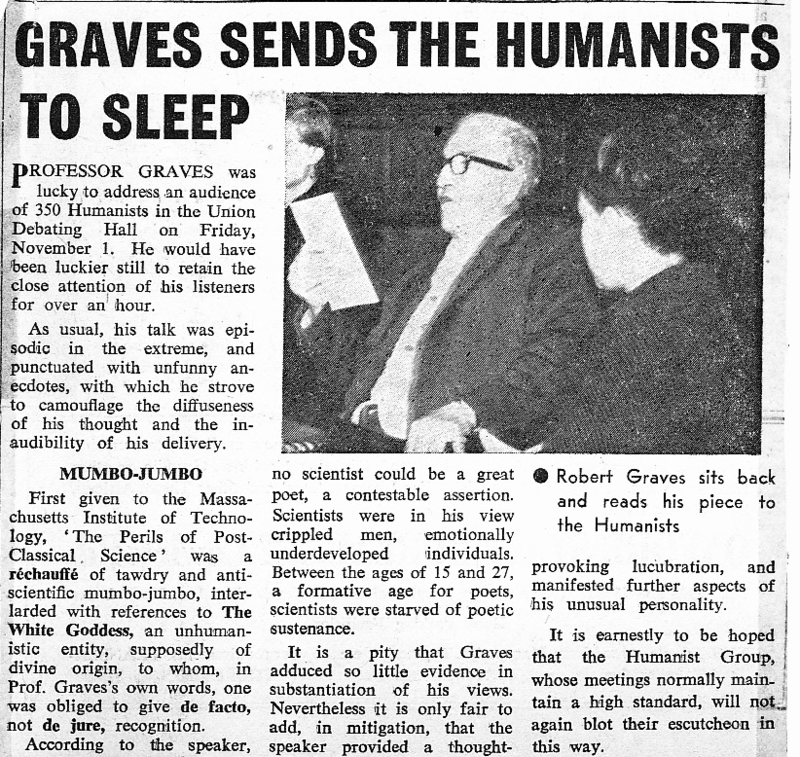 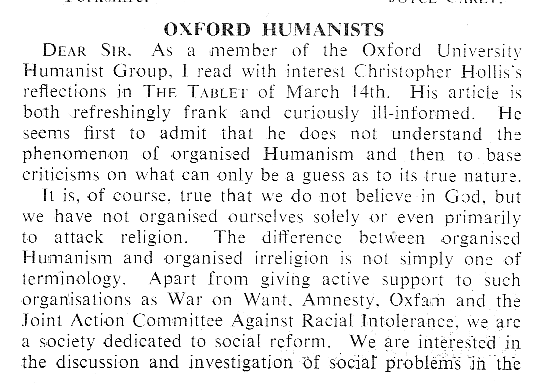 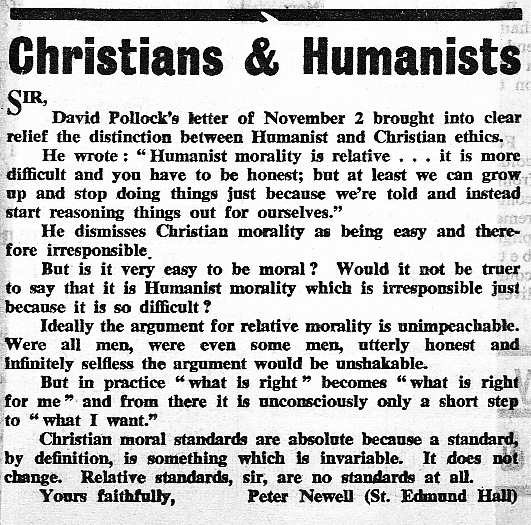 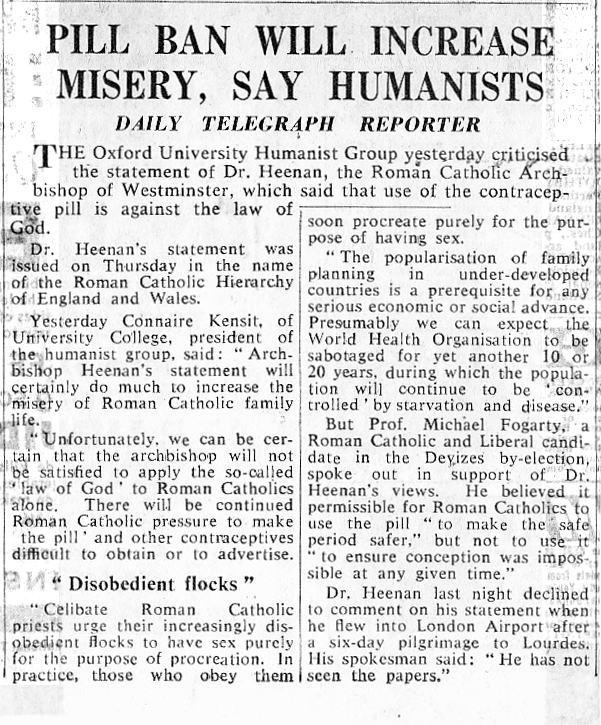 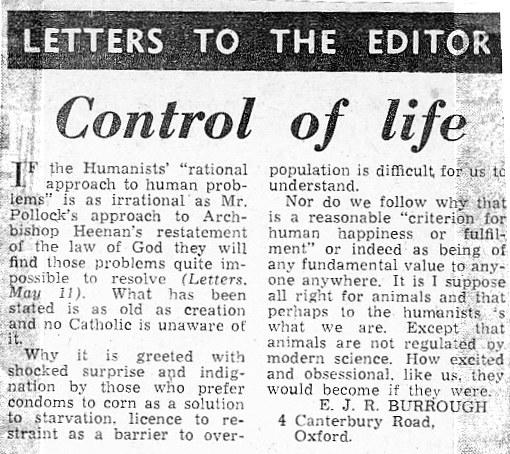 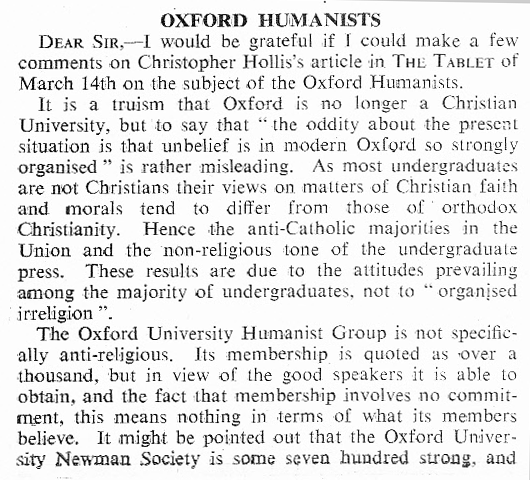 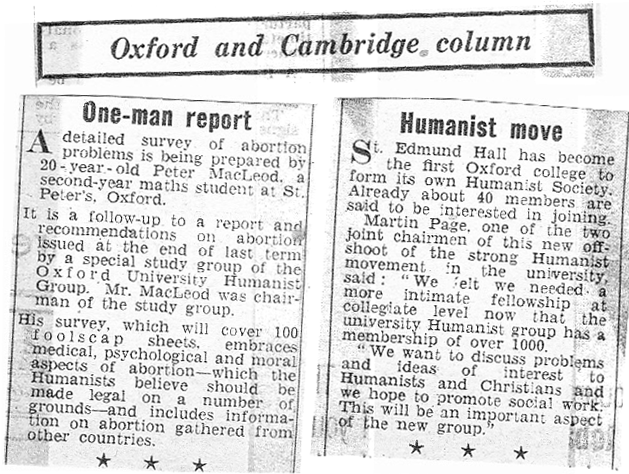 How far the activities of the OUHG were responsible is a matter for speculation but it is notable that at Oxford many described their philosophy of life as humanist and the term Humanism was much used even by non-humanists, whereas at Manchester it was much less used.